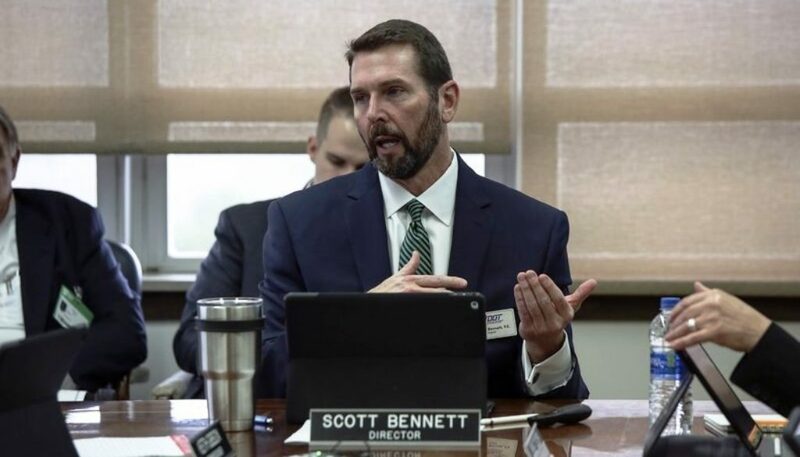 Scott Bennett, director of the Arkansas Department of Transportation, speaks during an Arkansas Highway Commission meeting on March 13 in Little Rock. 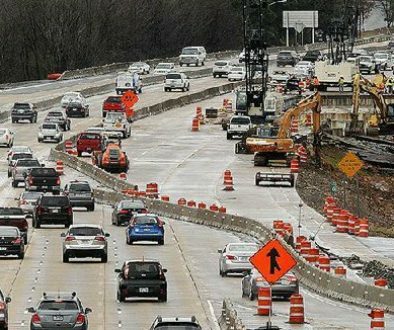 In an era of gargantuan road construction work – such as the $631.7 million project to remake the Interstate 30 corridor through downtown Little Rock and North Little Rock – the construction bids opened Wednesday by the Arkansas Department of Transportation hardly moved the needle. The 6.7-mile I-30 project, called 30 Crossing, has a construction budget totaling $575 million, with the balance being largely project-development costs. It attracted interest from international ventures and will take four years to complete when work begins early next year. The 15 state projects on which bids were opened Wednesday totaled $39.5 million, or about 7 percent of the cost of 30 Crossing. They will take a few months to finish and will be done largely by in-state contractors. Not as attention-grabbing as an expansive new interstate and Arkansas River crossing to carry 124,000 vehicles daily, projects to repave, say, an 11.9-mile section of Arkansas 463 in Poinsett County that carries no more than 740 vehicles a day are just as vital, state highway officials say. The cost of the work typically comes out to about $200,000 per mile on a two-lane road, which is far less expensive than waiting until total pavement failure to repair it. The highway department has budgeted nearly $200 million annually on what the agency describes as resurfacing jobs. Thirteen of the 15 projects on which bids were opened Wednesday fell into that category. The remaining two were bridge replacements. The 13 projects are scattered throughout the state and were selected based on a number of factors that include recommendations of the state’s 10 district engineers, pavement quality the agency tracks, traffic count and public comments. They eventually wound up on the statewide transportation improvement schedule, which is a rolling list of all the work the department plans to do. That plan is approved by the Arkansas Highway Commission. At first blush, Arkansas 463 wouldn’t seem to rate a department priority, given its light traffic count. Other routes on which bids were opened Wednesday had far higher traffic counts. The busiest is a 1.2-mile section of Arkansas 5 in Saline County. It runs from Interstate 30 to Salt Creek Road in Benton and carries 35,000 vehicles a day. Cranford Construction Co. of North Little Rock had the low bid to do that work – $415,878.72. The only job that fetched a lower bid — $275,715.74 by Atlas Asphalt of Batesville – was resurfacing a 2.3-mile section of Arkansas 351 from the BNSF Railroad tracks to U.S. 49 in Jonesboro. The route carries 5,500 vehicles daily. The low traffic count on Arkansas 463 belies its importance. It runs parallel to Interstate 555 and would be the alternative route if traffic was unable to travel on the interstate. “Highway 463 is a critical-service route,” Thornton said. The most expensive project on which bids were opened Wednesday also was the longest. Jet Asphalt & Rock Co. of El Dorado said it could resurface a 16.75-mile section of U.S. 82 in Lafayette County from the Miller County line to the Columbia County line for $9.8 million. The work is often overdue, given that the department is responsible for 16,000 miles of state highways, U.S. highways and interstates. 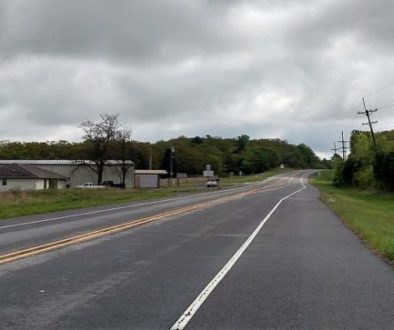 The one project in Pulaski County on which bids were opened will resurface a 5.2-mile section of U.S. 165 between U.S. 70 and Arkansas 391 in North Little Rock. The route, which primarily consists of two lanes, intersects with Interstate 440 and carries about 15,000 vehicles a day. Cranford Construction Co. said it could do the job for $2.1 million. 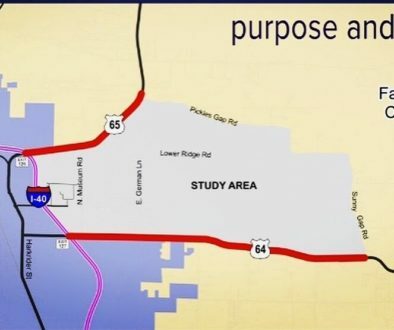 The department last awarded a project on the section that is west from I-440 to U.S. 70 in 1993, which was 26 years ago, according to Jared Wiley, who heads the department’s program management division. The section going southeast from I-440 last had significant work in 1987, or 31 years ago, he said. The jobs are designed to extend the life of the pavement before total reconstruction is required — precisely how long is uncertain.